Chairman, President, and CEO of Mellon Capital and 2017 Orgullo de ALPFA, Gabriela “Gabby” Franco Parcella, reveals her strategy for accelerating the American Dream from within. It’s a timely corporate success story. 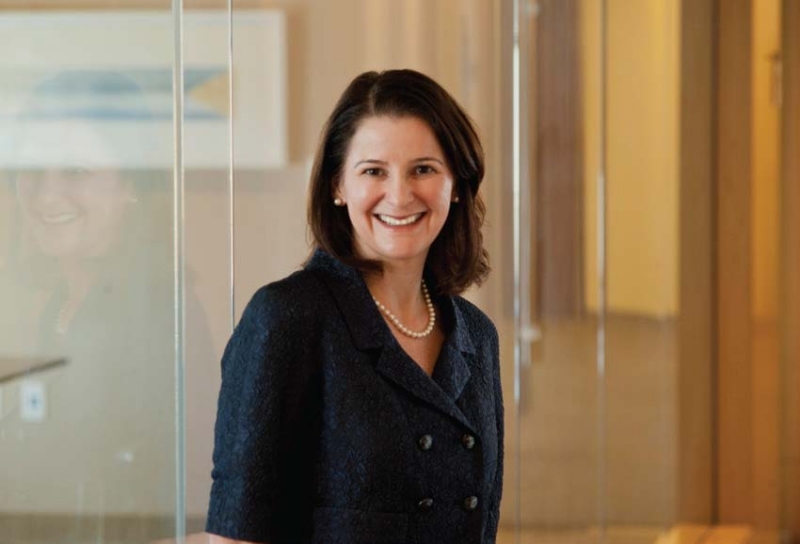 After two decades of extraordinary diligence, Parcella, daughter of Mexican immigrants, leads Mellon Capital, an investment management firm headquartered in San Francisco. Open and accessible, Parcella focuses on building assets with transparency and diversity, improving corporate America, and inspiring millions of Latinas to dream big by example. Born in El Paso, Gabby studied accounting at the University of Texas at Austin and took home an MPA. It was then on to Stanford, where she earned a JD. Gabby felt drawn to tax law and joined San Francisco law firm Orrick as a tax attorney. In 1997, she interviewed at Mellon Capital. Right away, there were signs that Mellon Capital was a place for a smart, team-playing woman to progress; of the six people she interviewed with, three were women. Gabby liked what she saw. At that time, senior women were notably sparse at law firms, particularly in tax. Gabby quickly assessed the environment at Mellon Capital and saw herself fitting in. Parcella’s personal initiative, quick reflexes, and strategic instincts were key elements to her success, as was her mentor, CEO Charlie Jacklin, a former Stanford Graduate School of Business professor. “Having Charlie as a mentor certainly helped me expand my horizons.” Mentoring impacted her career enormously; it left an indelible leadership impression. Her performance under pressure was no doubt a factor in her ascent. Together with Jacklin, the two execs steered the firm successfully through the challenging global financial crisis. When Jacklin retired in 2012, he recommended Gabby as his successor. 2012 was a big year for Gabby. After CEO, she was also named Chairman. As of June 2017, Mellon Capital has $352.5 billion in total assets under management with 335 clients and 1,761 accounts. Thanks to Gabby’s broad background and vision, she can speak to all areas of tactical focus. “As Chairman, President, and CEO of Mellon Capital, I provide strategic leadership to all areas of the firm.” Known for pioneering index funds and multi-asset strategies, the firm is dedicated to uncovering deeper insights into complex capital markets, a greater understanding of its clients’ challenges, and developing strategies to help them reach their long-term goals. That advancement extends to her community; Gabby is proud of her heritage. The obvious and considerable perks accorded the Chairman, President, and CEO of an esteemed investment firm like Mellon Capital could separate Gabby from junior staffers, but she’s determined to use her influence to affect real change. Fortunately for the next generations of financial whiz-kids, Gabby is no typical C-Suite achiever. She’s committed to an agenda for diversity advancement, and the authority to see it through. ALPFA has been a constant presence in her career. Click here to read the other CEO Interviews!